Check current field status at cancellations.com. Enter "Denville, NJ" in the "City, State:" field on the left side of the page under "Search Cancellations". For Rockaway fields, you can call 973-983-2853 extension 8. They usually post the info after 4pm. 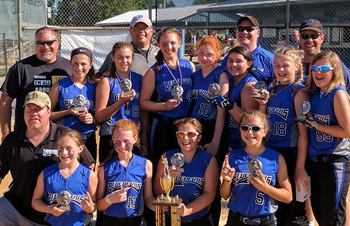 Denville Girls Softball seeks to provide a fun and exciting environment for players of various ages and abilities. In support of this goal, multiple levels of play are available. 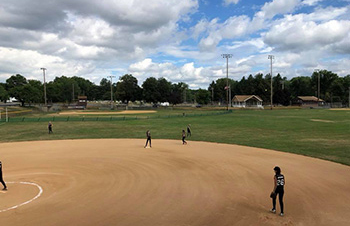 The Denville Girls Softball recreation league is chartered by Little League and consists of multiple divisions and is for players from kindergarten through age 16. No tryouts are required and all players who register in a timely fashion are assigned to a team. The next season plays in Spring 2019, from March 1-June 30. Denville also fields travel teams known as Blue Devils. 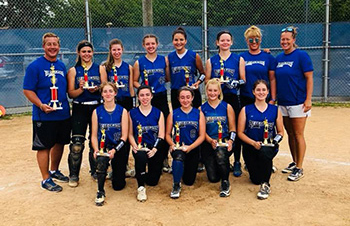 The travel program provides an opportunity for those players seeking a more competitive softball environment. 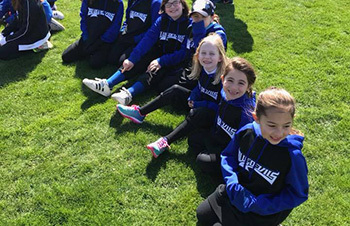 The Denville Blue Devils travel teams consists of players from the recreation divisions of Denville PAL Girls Softball. The Blue Devils compete against teams from other towns in Northwest New Jersey. League and tournament play run from September thru October (fall season) and from April thru July (spring/summer season). The travel teams are selected from open tryouts that take place in June and July for the following calendar year.